Nearly three years in the making, this coffeehouse-inspired inner-city hub is set to transport you back to an era of old-school charm and reignite the heart and soul of Sydney’s CBD. Trading from dawn ‘til dusk 7 days per week, offering breakfast and and all-day menu daily with late trading on Tuesday through Sunday nights. Allow our hosts to find you a cosy table, and settle in with a menu that features something for everyone. 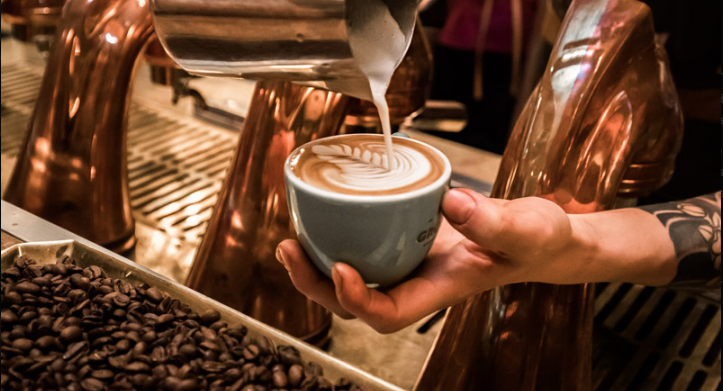 You’ll find our coffee sommelier at The Barista’s Bar ready to take you through a tailored coffee experience, and our baristas expertly serving up The Grounds house-roasted espresso and filter coffees. As our tea lady roams the room with her trolley, you’ll find it adorned with fresh coffee to top up your bottomless cup, our selection of ethically sourced teas and cakes baked fresh daily in The Grounds Bakery & Patisserie. Prefer your morning caffeine dose and breakfast on the run? Take a moment to yourself while you wait as our shoe shiner tends to you. After all, they do say you can tell a (wo)man by their shoes. The Grounds of the City is at your service. Celebrate the Easter long weekend in the city and settle in with a 2-course brekkie menu designed by our Executive Chef, Paul McGrath – 49.0pp. View the full menu below, and make a reservation here. Dates to be announced for 2019 shortly. Take a seat at The Barista’s Bar and explore the differences in brewing methods popularly used in modern cafes. Our coffee experts will lead a small group through a variety of curated offerings, giving insight into espresso and drip brewing and the effects it has over coffee. Book here.